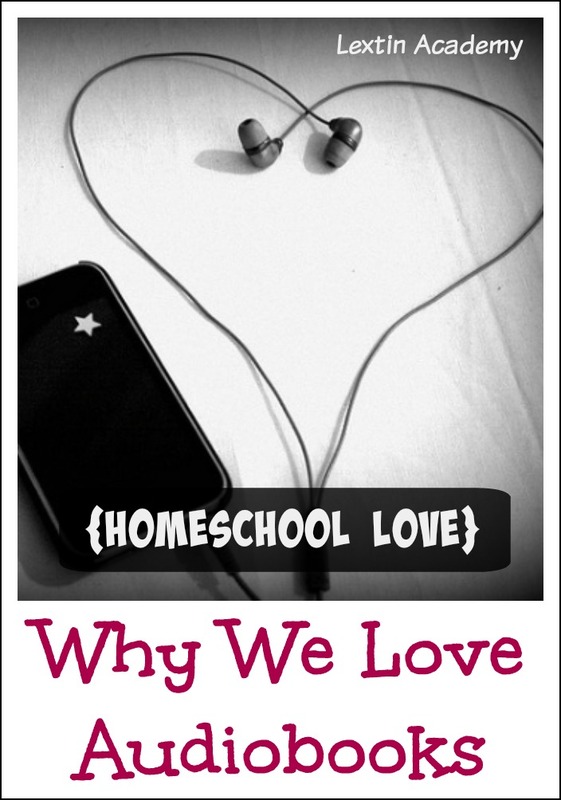 My husband asked me what I could not live without in our homeschool. We absolutely love audiobooks at our house. My kids can hear a favorite book multiple times or each listen to a different book with their individual iPods. I can enjoy knowing that their minds are full of wonderful literature, inspiring stories, or fun characters as they listen. My favorite part of audiobooks is how they’ve changed our evening routine. By 8 PM it’s room time at our house. All the kids go to their rooms with their iPods. They listen to an audiobook while they work on craft projects, build with blocks, play with cars, or color. This is their 30 minutes of quiet time before the lights go out. They love this time and look forward to listening to their stories. However, they don’t realize that this evening time is really more about my sanity than the good literature. Mom (and Dad) both need a little down time after a busy day. Sometimes I even have time to blissfully read an entire chapter of a book for myself! So, I love audiobooks for the quiet moments that they’ve given me, but I can list many other reasons why they are an essential part of our family life. Need some ideas for audiobooks? And watch for a new audiobook list later this week!